Christopher M. Bentley is a Partner. He has represented employers for nearly ten years. Chris counsels both public and private-sector employers in all matters relating to employment law and labor relations. He has handled a wide range of litigation matters in federal and state court, and has defended employers in a variety of matters including discrimination, sexual harassment, wrongful termination, breach of contract, wage and hour, retaliation, and state law torts. Chris enjoys counseling clients to solve tough issues and vigorously defends them when necessary. Chris received his undergraduate degree from Stetson University and his law degree from the University of Florida Levin College of Law. 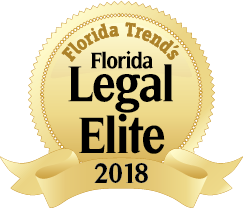 He has been recognized as one of Florida’s “Legal Elite Up and Coming” by Florida Trend, and as a Super Lawyers Rising Star. He serves as a Member for the Continuing Education Committee, the Labor and Employment Wage and Hour Administration Committee, the Labor and Employment Law NLRB and PERC Liasion Committee, and the Labor and Employment Law Special Projects Committee of the Florida Bar. He also serves as an Advisory Board Member of the First Tee of Tampa Bay and is a volunteer for Special Olympics. Chris was born in Louisville, Kentucky.